Developer Quote: "Meet Jan Vermeer, a Dutch painter who specialized in exquisite, domestic interior scenes of middle class life." 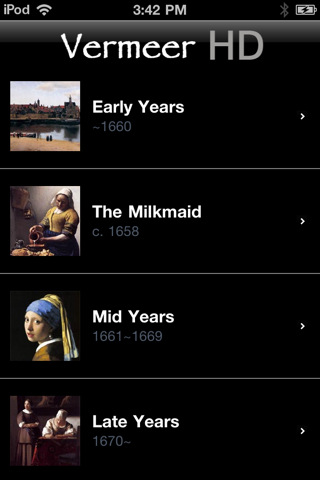 Vermeer was definitely one of the more original and innovative painters of his time. Enjoy his lovely paintings in 4 different categories accompanied by a beautiful music score. 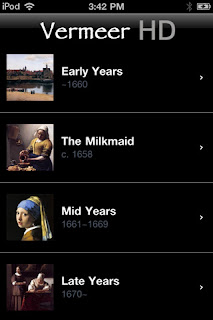 COOL CONCLUSION: "Vermeer HD brings to you the beauty and elegance of the world-renowned painter, Jan Vermeer."